The weekend after getting back home from my trip to Arizona we headed up to Dinosaur National Monument so that we could visit the newly-opened Dinosaur Quarry. After checking out the dinosaur bones we took a drive along Cub Creek so that I could visit the petroglyphs found there. This lizard is one of the more impressive ones to be found in the area. Don’t let the photo fool you, it’s bigger than it looks! 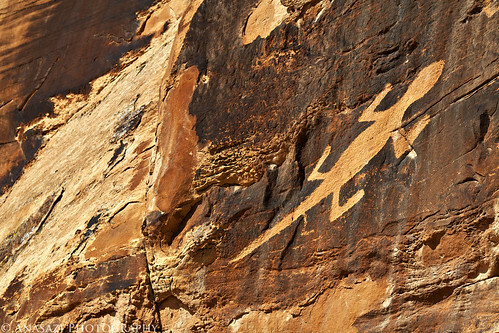 There are many petroglyphs of lizards found here which I haven’t seen anywhere else.